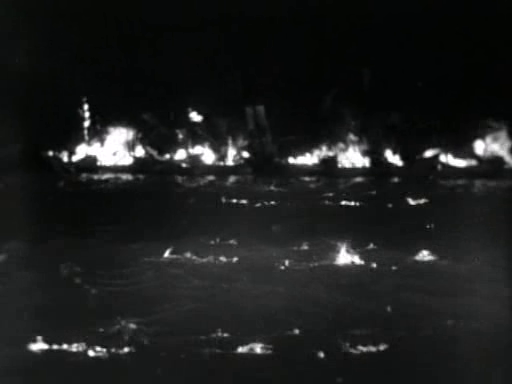 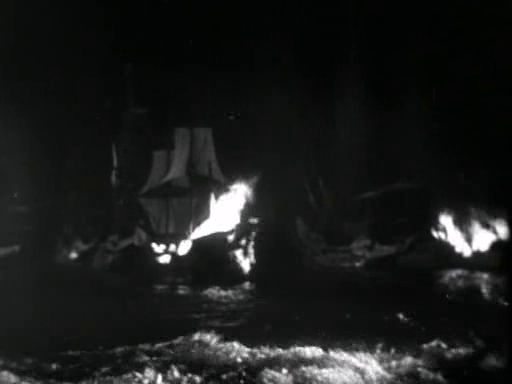 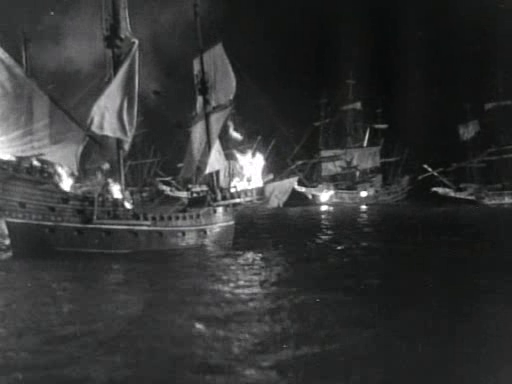 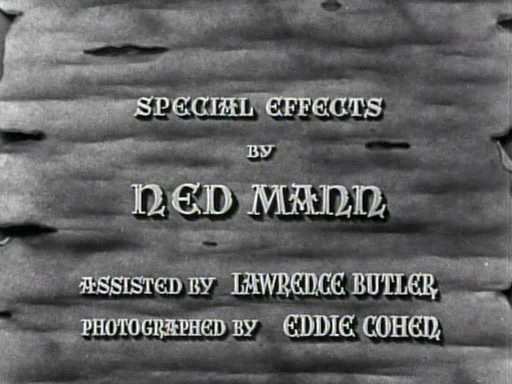 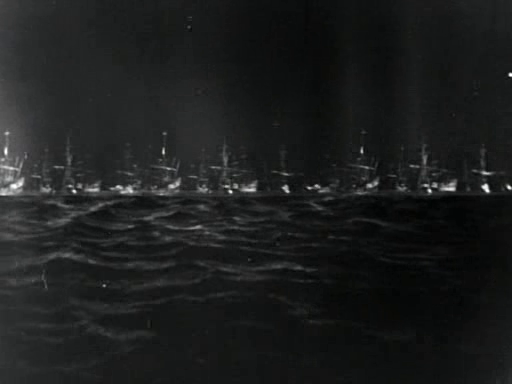 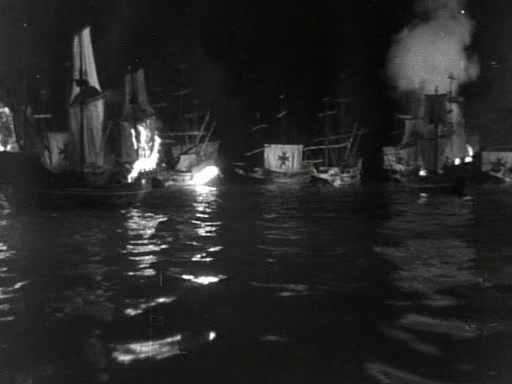 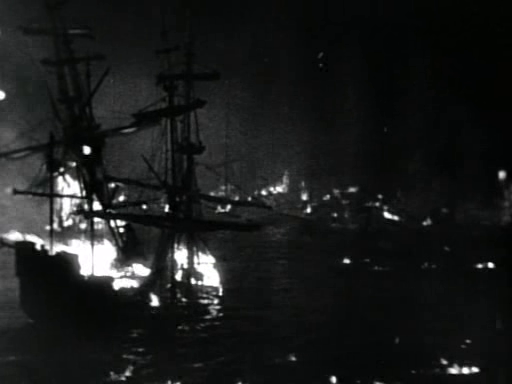 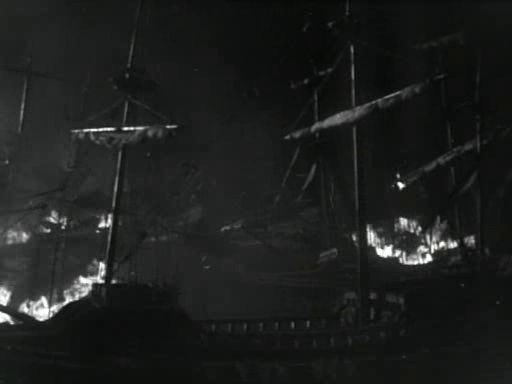 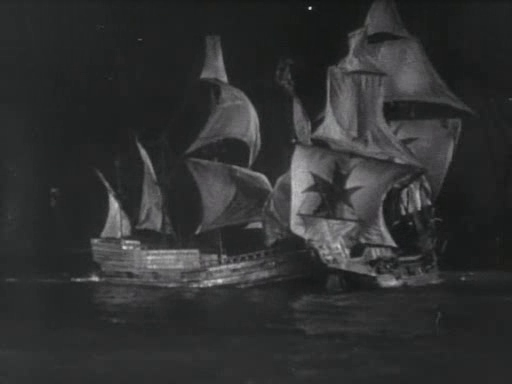 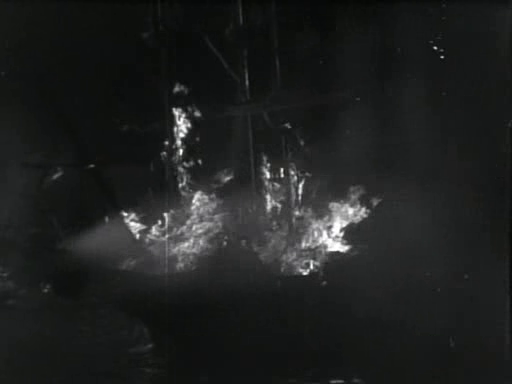 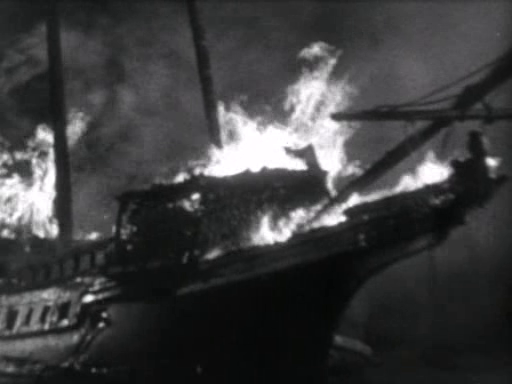 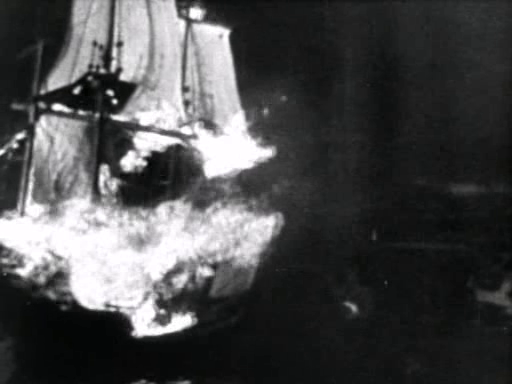 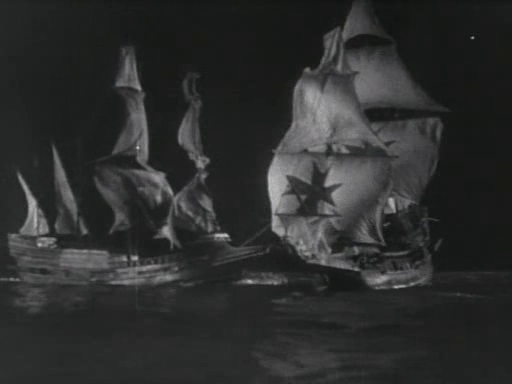 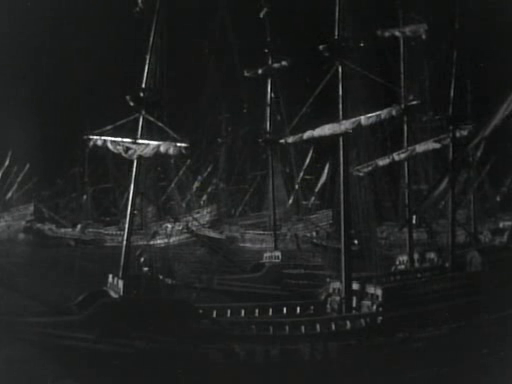 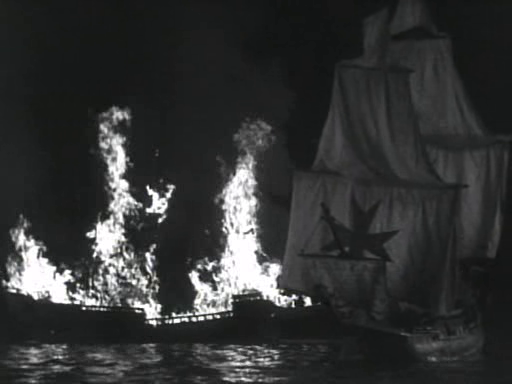 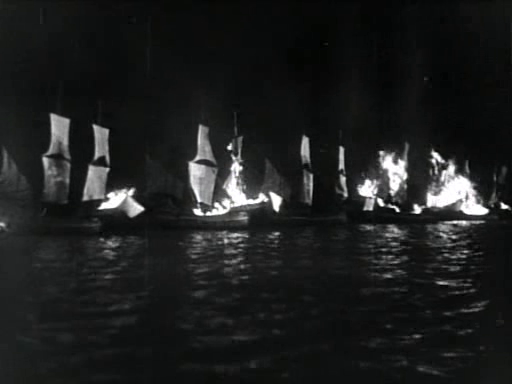 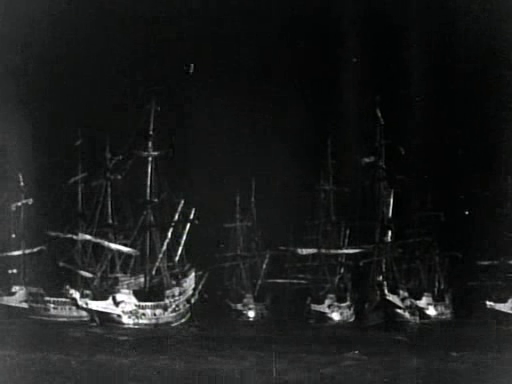 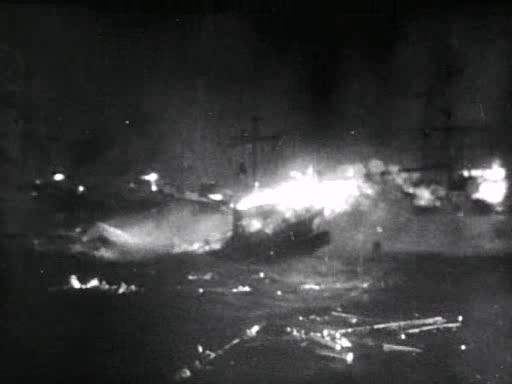 Special effects supervisor Ned Mann and his assistant Laurence Butler burn many small miniature ships in this tale of the English vs Spanish during the rein of Elizabeth the first. 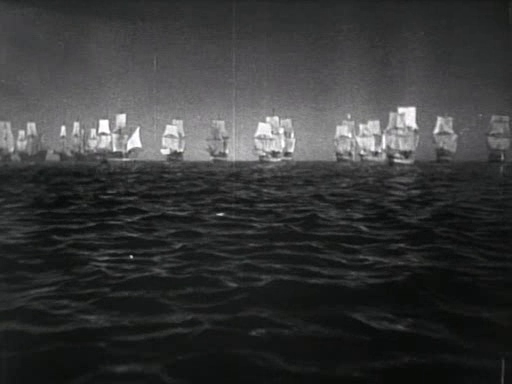 The miniature work is a little dated, and the small scale of the models and the studio tank is evident in the miniature sequences. 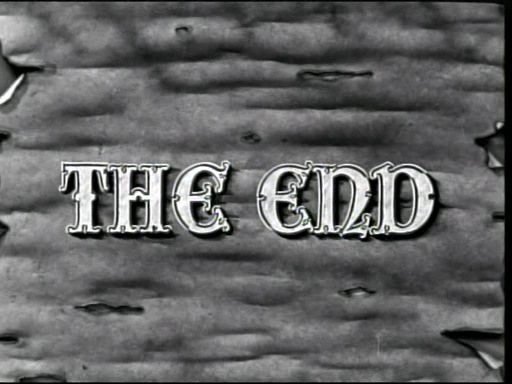 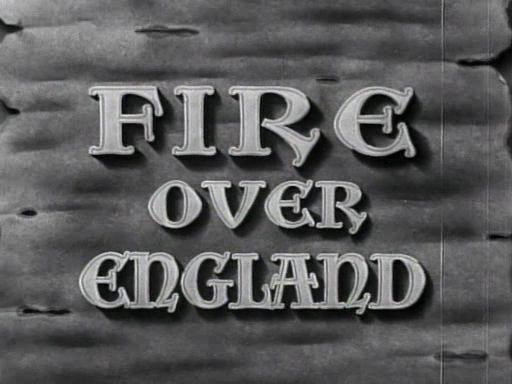 Fire over England is now in the Public Domain and available to download and view from the Internet Archive.